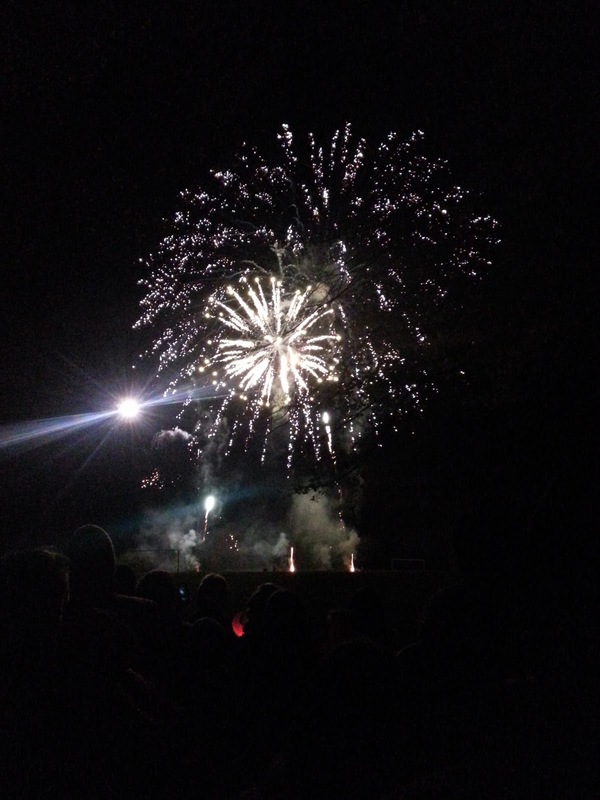 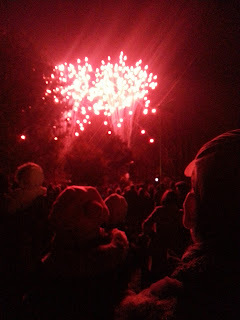 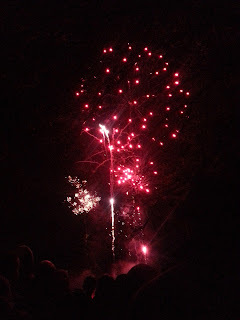 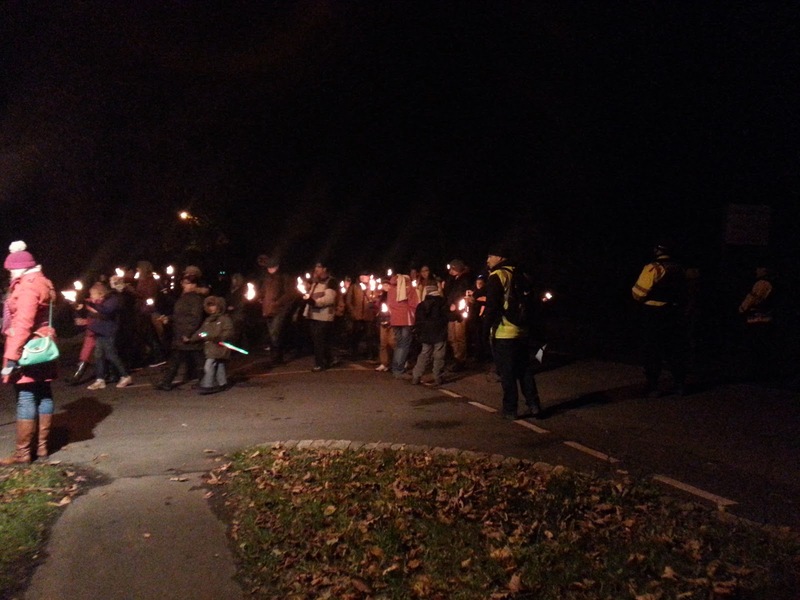 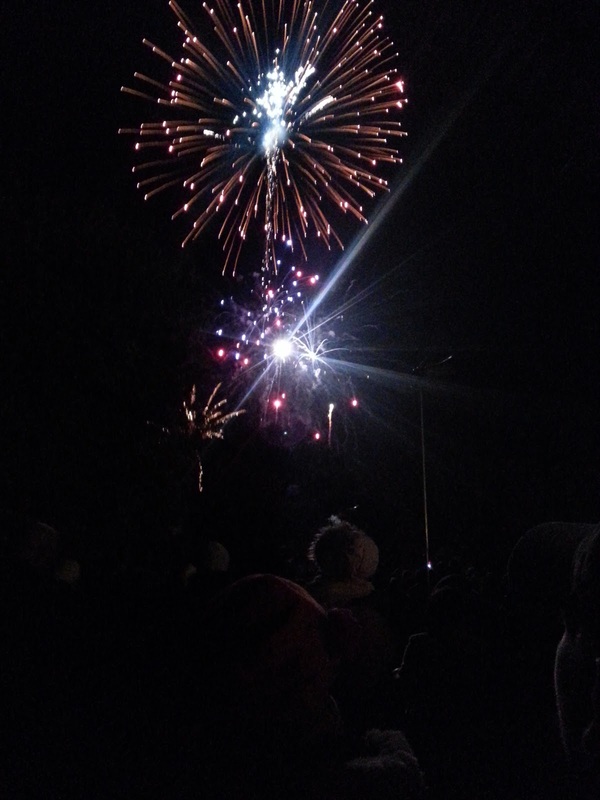 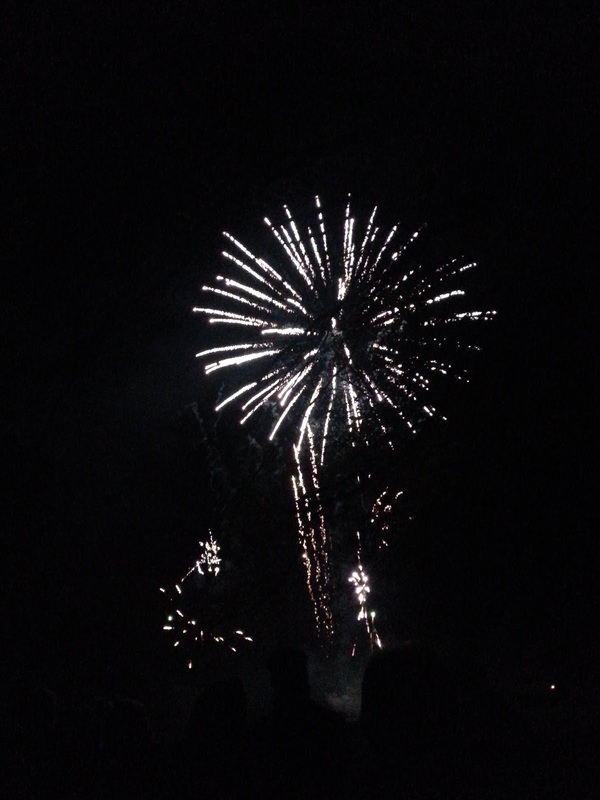 We went out for Bonfire night on saturday to a local park, as we arrived we saw the procession of people who had walked up the hill past Farnham Castle, ready to light the bonfire. 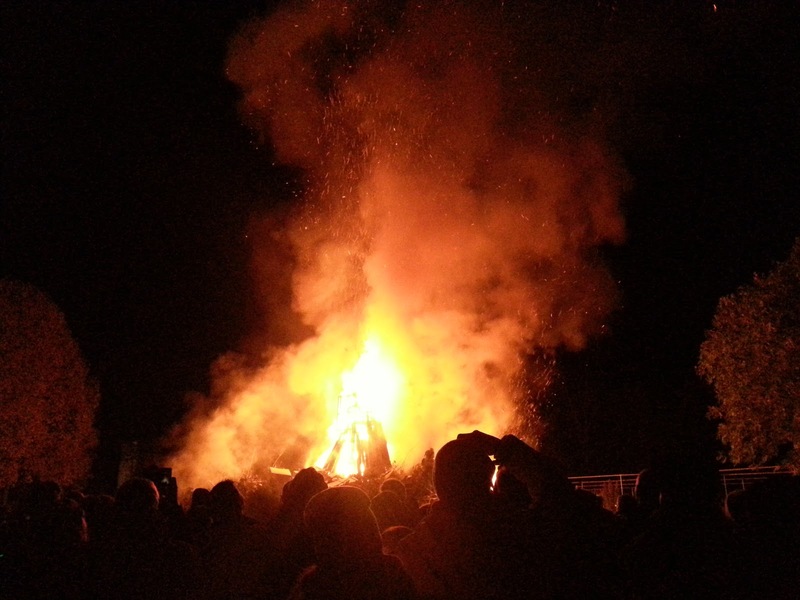 It went up in flames really quick, which was quite freaky. 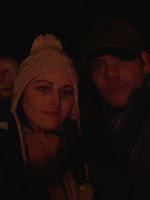 It was lovely and warm though considering i was so cold i had a pink knitted trapper hat on, jumpers, coat and mikes gloves on. 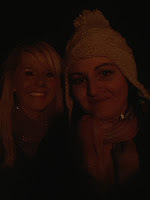 We had half an hour to find a nice spot for the fireworks, so we decided to get some food and snacks en-route across the muddy field, oh and also get some Bonfire lit pictures of us! 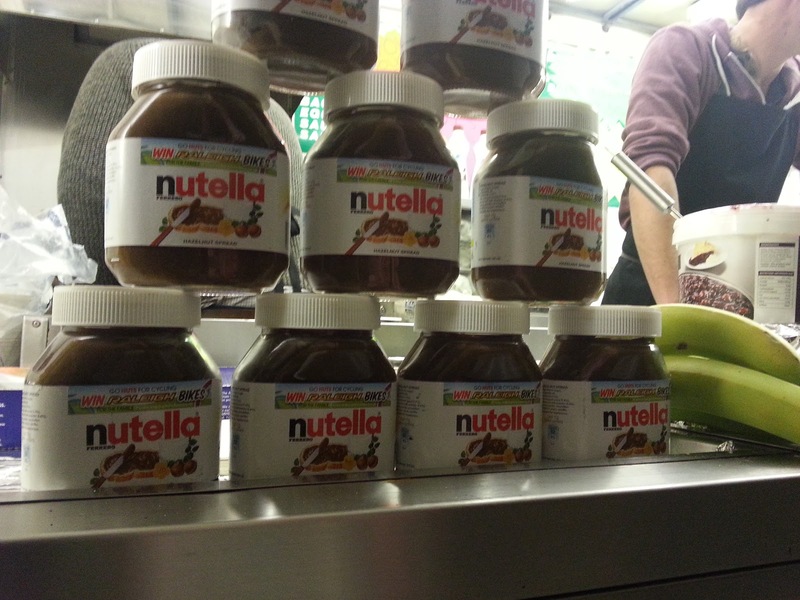 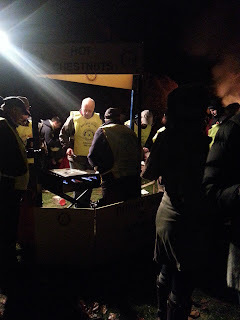 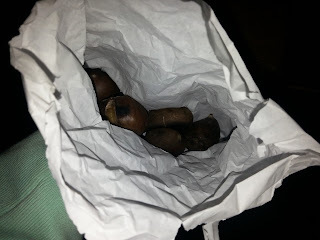 So first we decided Hot chesnuts were a must, they were SO good, and kept my hands lovely and warm! 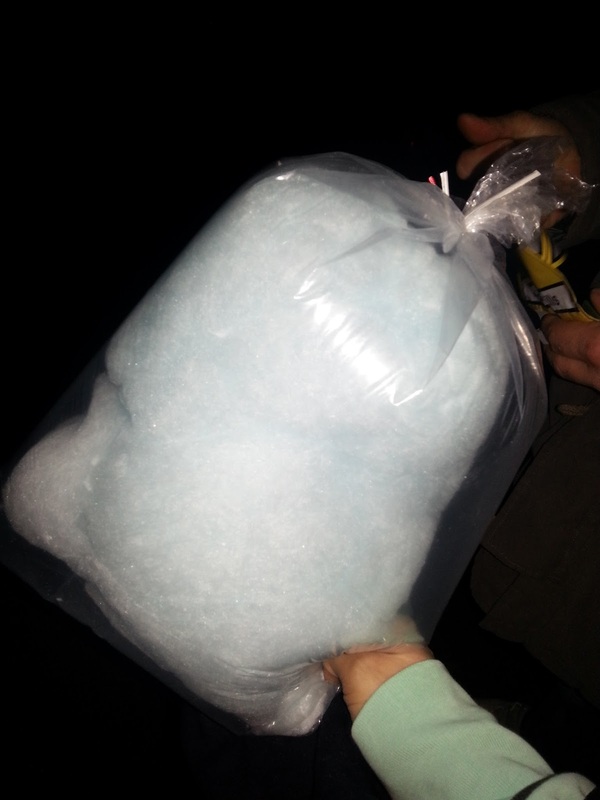 We queued for about 20mins and got food, i had chips, mike had a burger and we got a drink to share and it was £6.50!!! 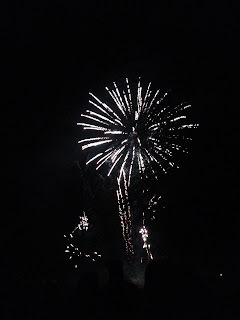 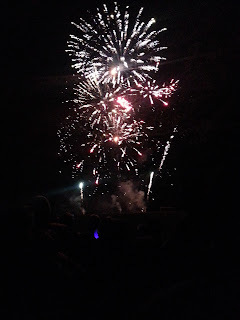 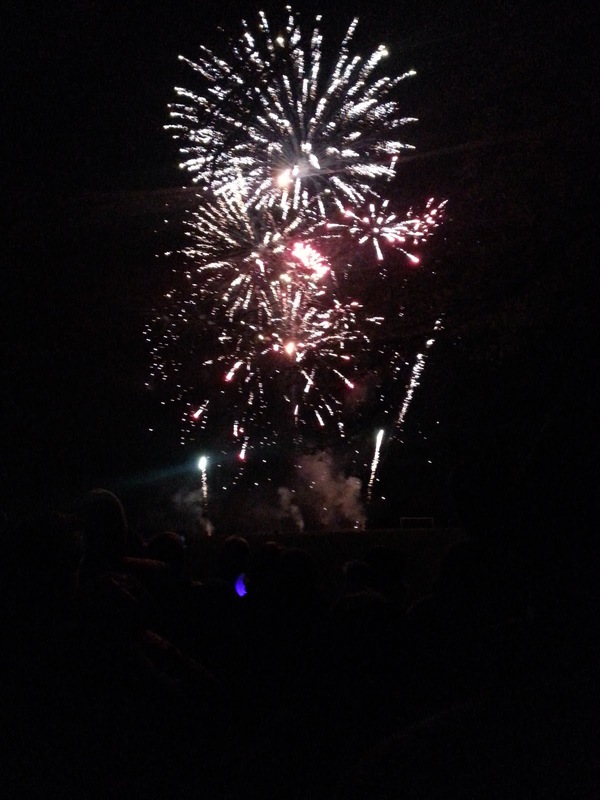 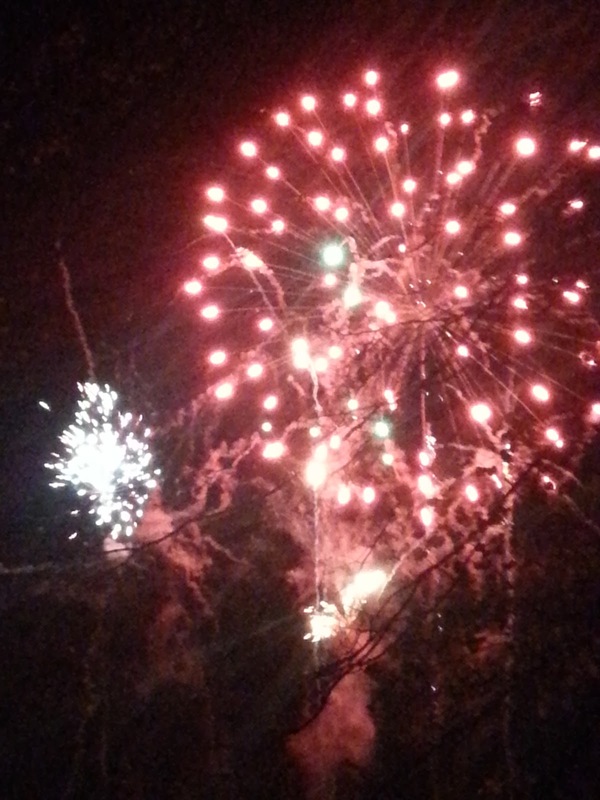 Finally after we were robbed for food the fireworks began! Countdown to Xmas now! eek.